What is Cone Beam CT Scanning? 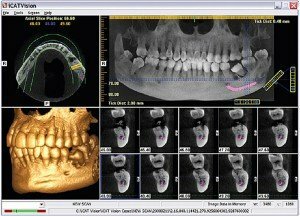 Cone Beam CT provides high resolution, volumetric images that provide complete three-dimensional views of critical anatomy for more thorough analysis of bone structure and tooth orientation. Cone Beam CT delivers accurate scans with images comparable to medical CT’s with a much lower radiation dose and quicker scan times. 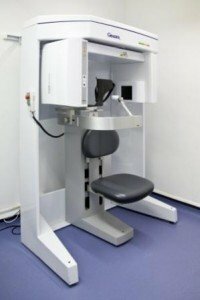 The Cone Beam CT scanner we use is the Gendex CB500 I-CAT scanner which is specially designed for dental use. This is an extremely safe machine with probably the lowest radiation dose of any scanner available in the market. As a comparison to a hospital dental CT scan, it has approximately 10% of the radiation dose. It is extremely comfortable and unlike a hospital scanner it is like sitting on a chair with a maximum scan time of less than 23 seconds. All scans come with I-CAT Vision planning software free of charge on a CD Rom for your patient. If you prefer we can also put these into a different format such Simplant or Nobelguide software at an additional cost. All scans come with I-CAT Vision planning software free of charge with your patient on a CD Rom. If you prefer we can also put these into a different format such Simplant or Nobelguide software at an additional cost. 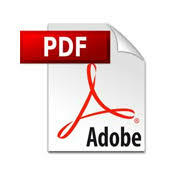 This price includes the scan and file conversions. 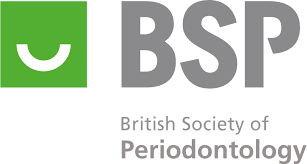 Our patient referral form can be downloaded here. When we receive your referral request, whether by post, fax or e-mail, your patient will be contacted to make an appointment. Referred patients will not be accepted for any treatment other than that which the referring dentist has requested. Dental implants can now be placed in the optimal position for aesthetics and function. The planning from the 3D scan provides unparalleled views pre-operatively. The surgeon and the restorative dentist can now work in a much more harmonious relationship with no surprises post operatively as to the positioning of the implants. One scan will deliver the following views: OPG, Lateral Ceph and also 3D images of the whole upper and lowers jaws. This leads to a more accurate diagnosis, using a lower radiation dose than film imaging. 3D CT images of impacted teeth (especially the lower third molars) deliver precise views to identify ID nerve/canals within the alveolar bone. 3D CT images enable the surgeon to view sinus anatomy and also assess for any pathology before the surgery is done. This provides added safety and assurance to the patient and provides the highest possible standard of care. 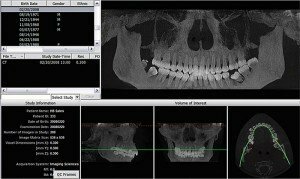 Condyles and surrounding structures can be viewed in 3D images allowing the dentist/specialist greater diagnostic data to enable a more accurate treatment plan and management of TMJ problems.